Nov - 22 | By: zikri | No comments. and there are many coral reefs among other Acropora species, Pocciliciopra and others. Like the other small islands of this island is not inhabited permanently, as a haven for fishermen. Feb - 15 | By: zikri | No comments. 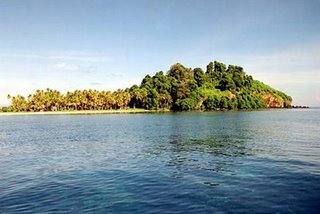 Pandan Island (8 ha), located 22.5 km from the Padang city (Muara Padang ), takes 30 minutes from Padang city to go there, or 20 minutes from Air Island by using the machine 2 x 85 PK. The island has a gently sloping beach in the south and north dominated by forest vegetation is very thick and the waves from the west and southeast. Gently sloping beaches on the south by the structure of the smooth sand become turtle haven locations, nearly 500-1000 rounds / week turtle eggs found in Pandan Island with sand stretches to the south of the range 4-5 meters. In the middle of the island fortress and cannon have Dutch heritage, including the big waves, the beach water clarity depth of 100% at 2-3 meters. There are various types of live corals and various types of ornamental fish. 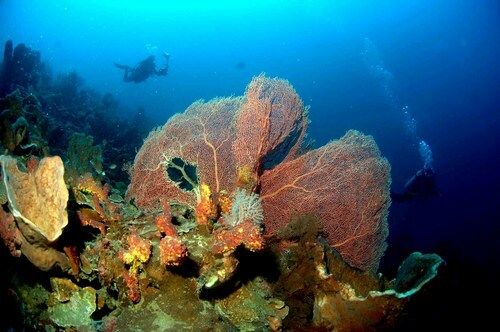 The beauty of coral reefs to attract tourists who visited. 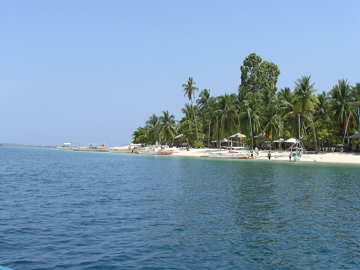 The island is not inhabited permanently very suitable to be developed as a regional maritime tourism, forest tours and historical tours.